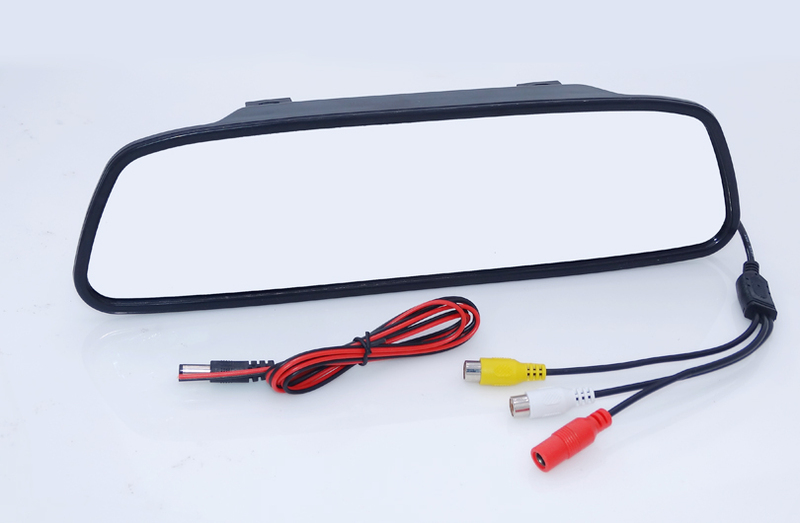 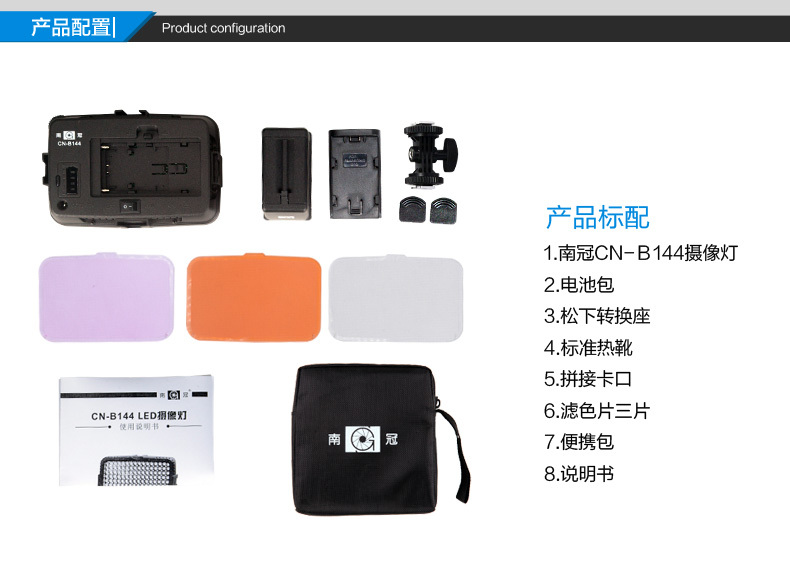 small in size, light weight, convenient for carrying, easy to assemble. 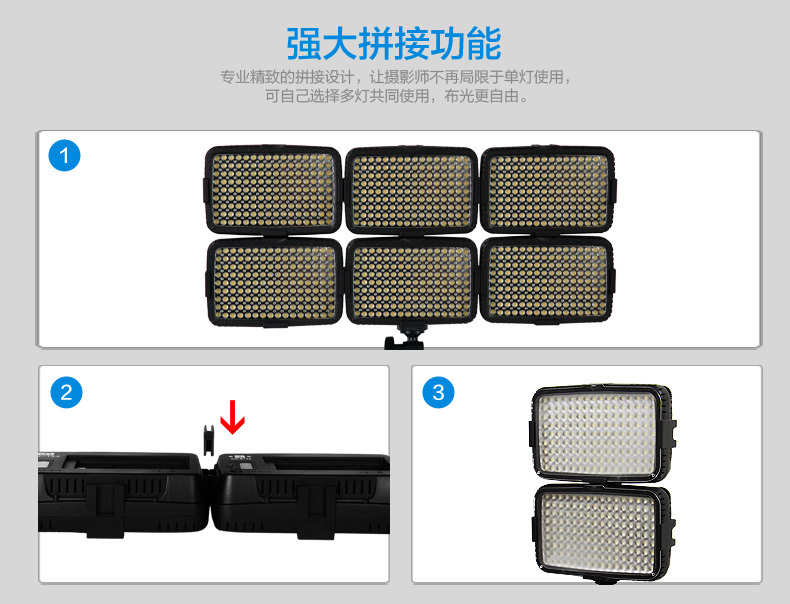 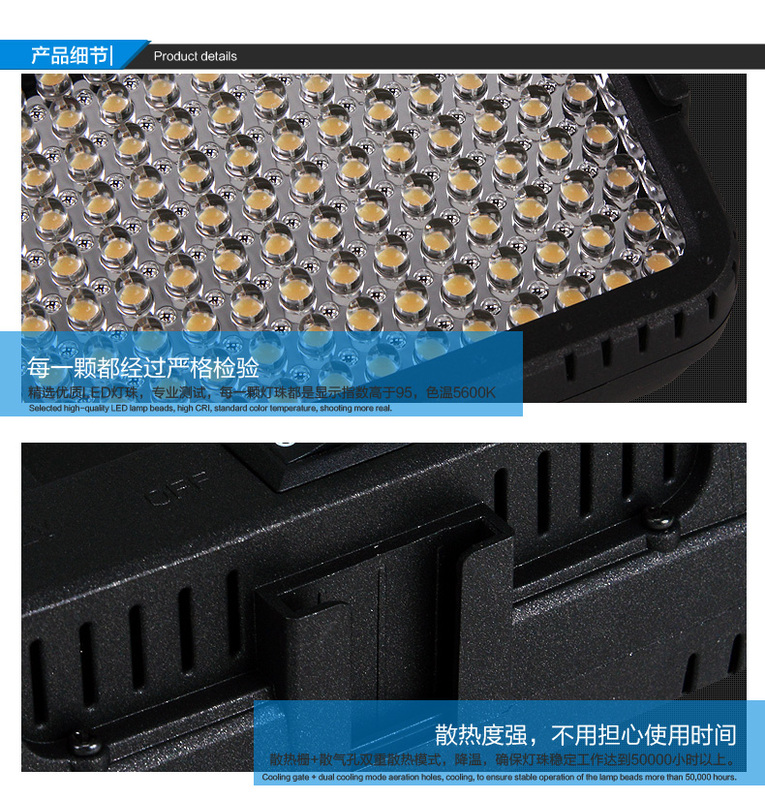 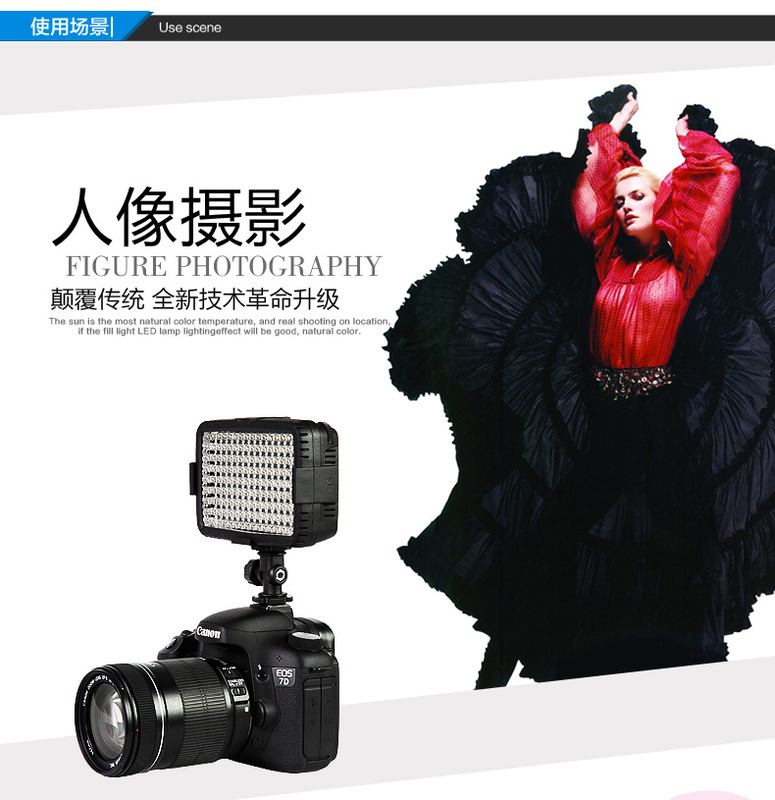 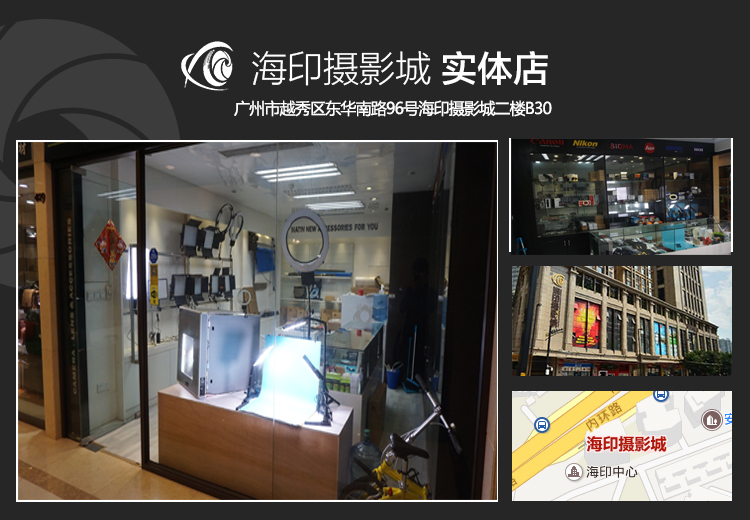 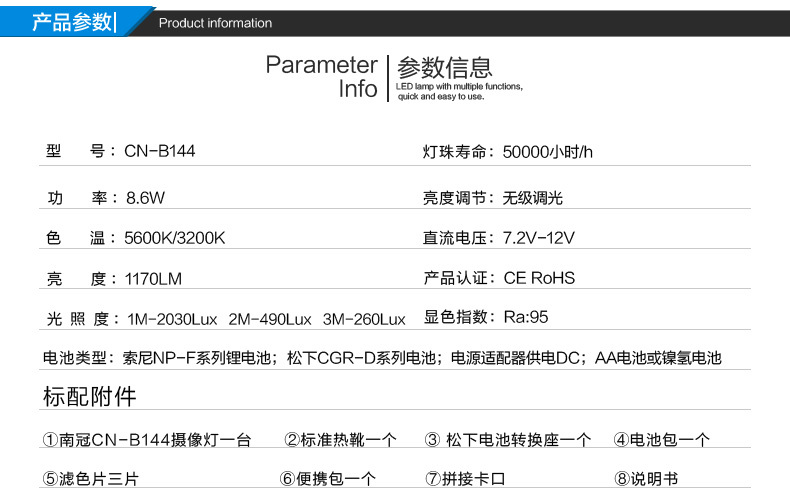 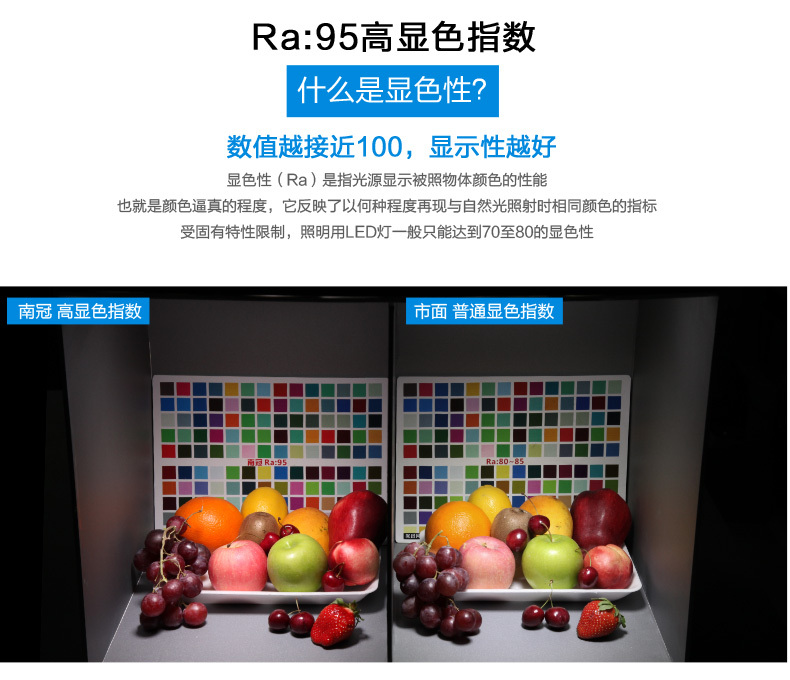 · With 144 pcs high output LED bulbs provide higher brightness for optimum illumination and diffuser. 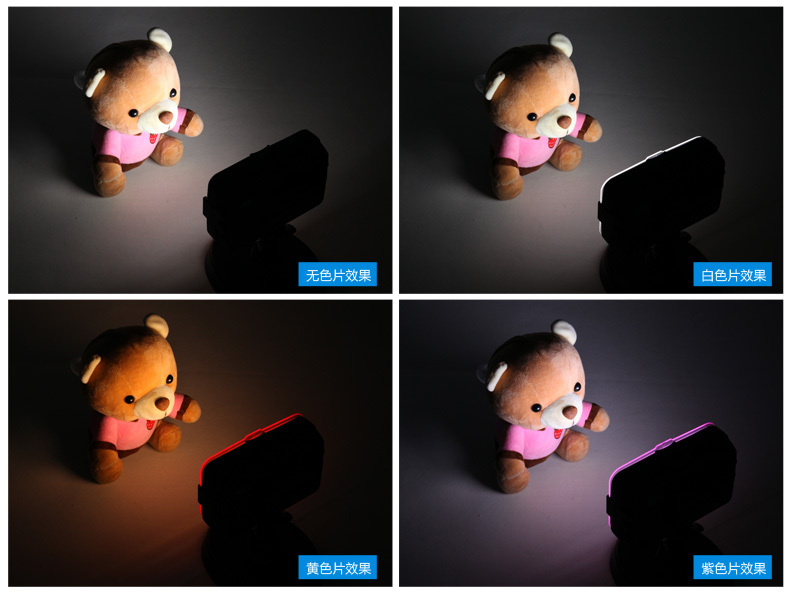 · Help to ensure your pictures\'s perfect settings. 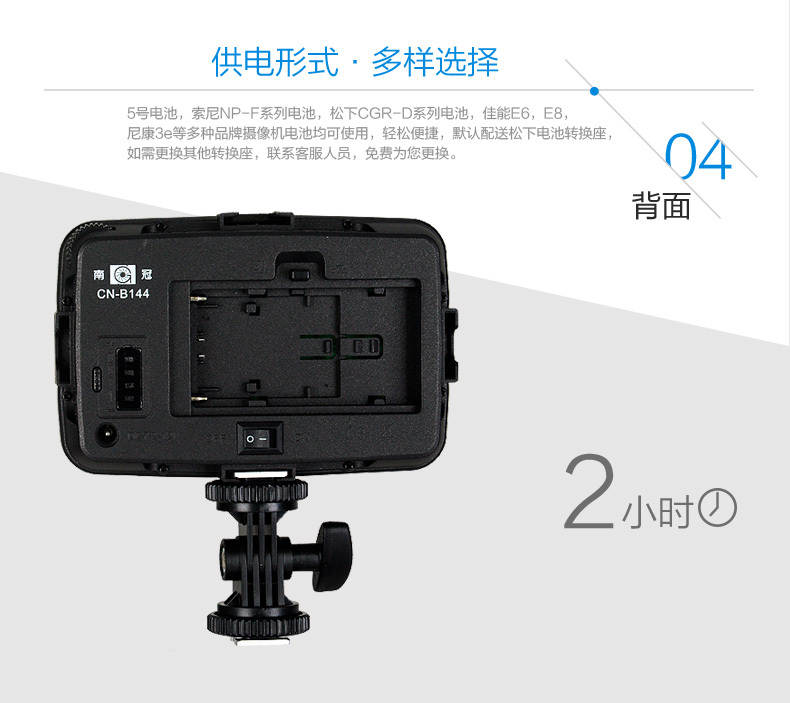 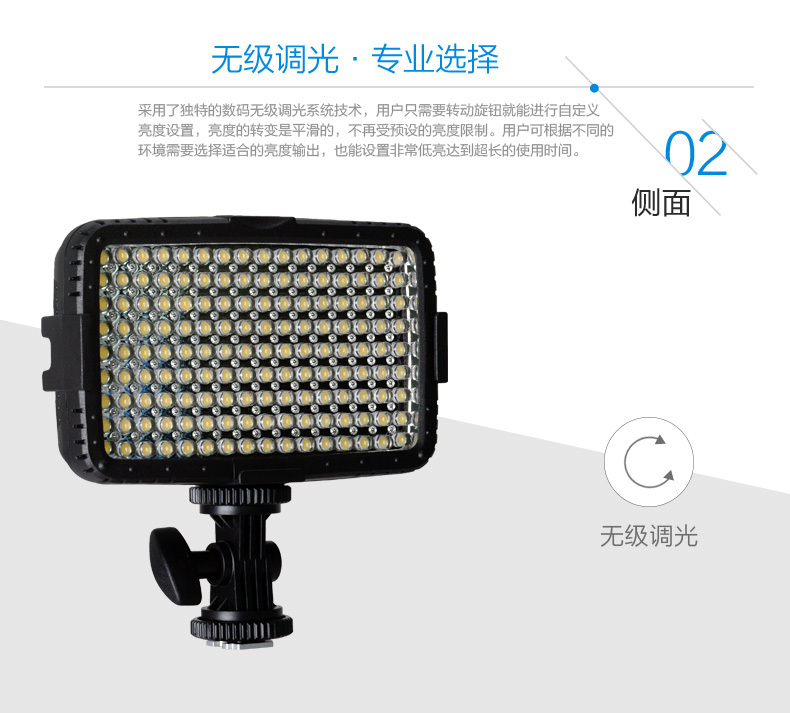 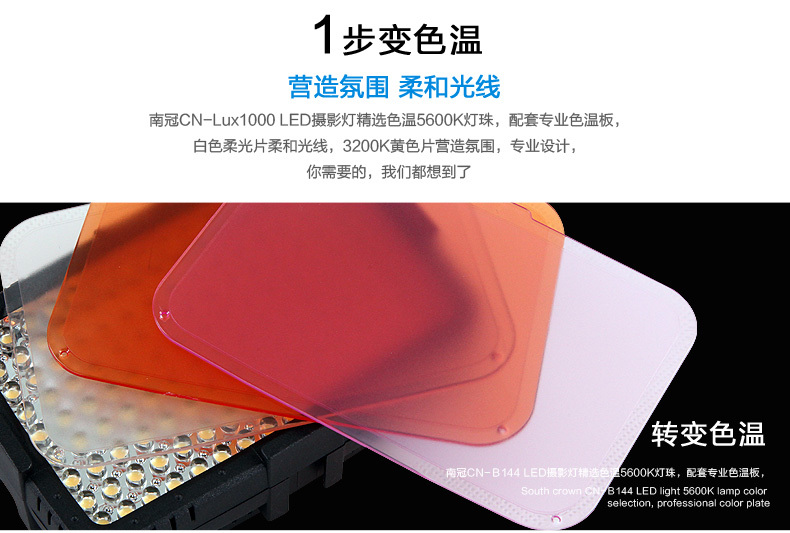 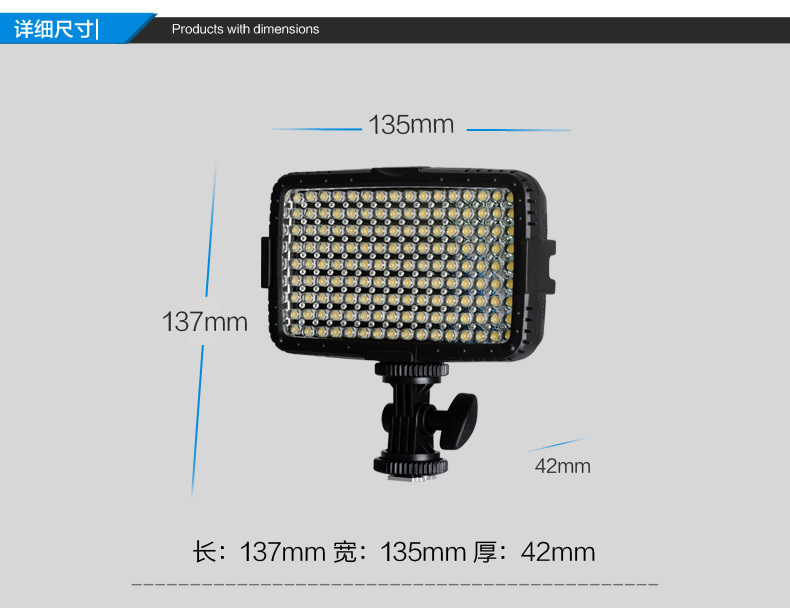 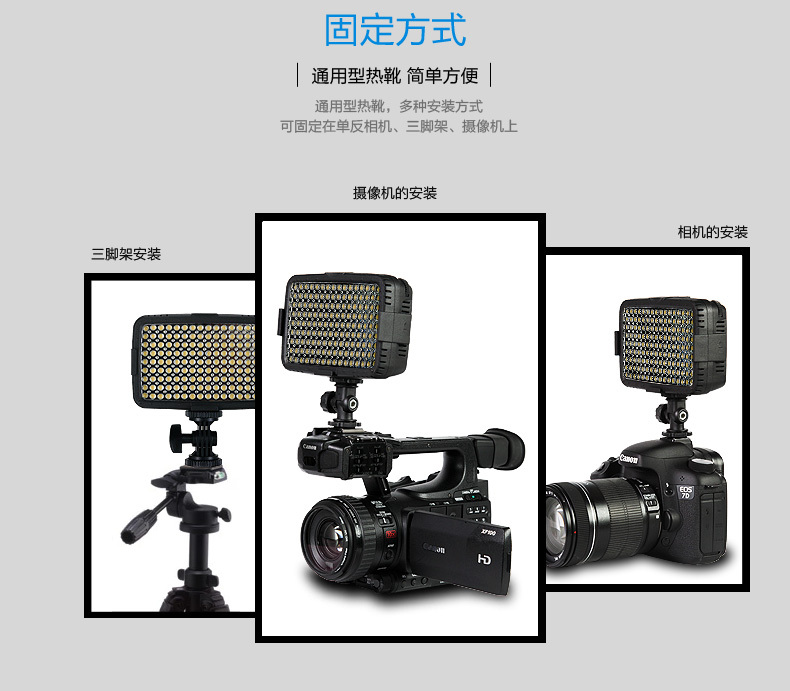 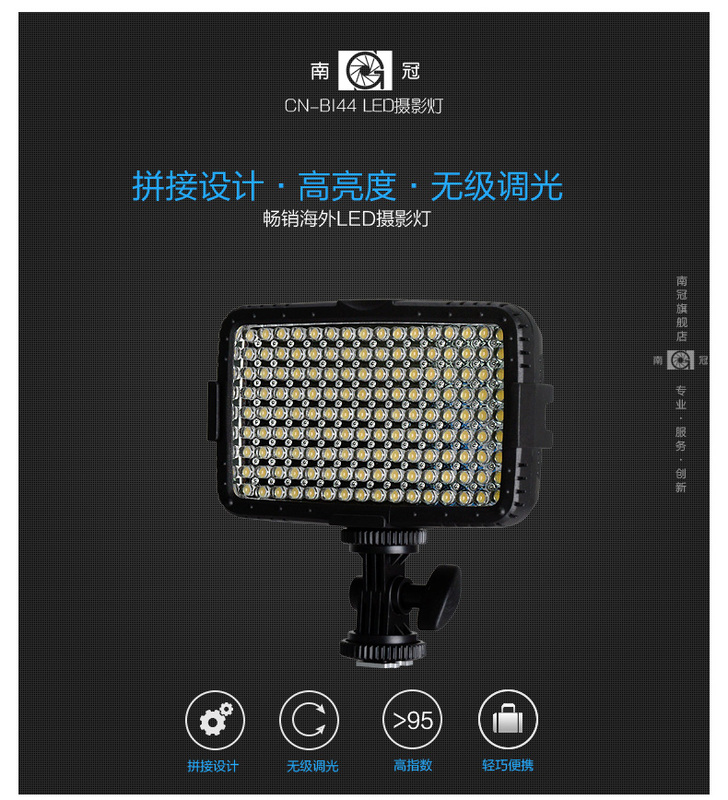 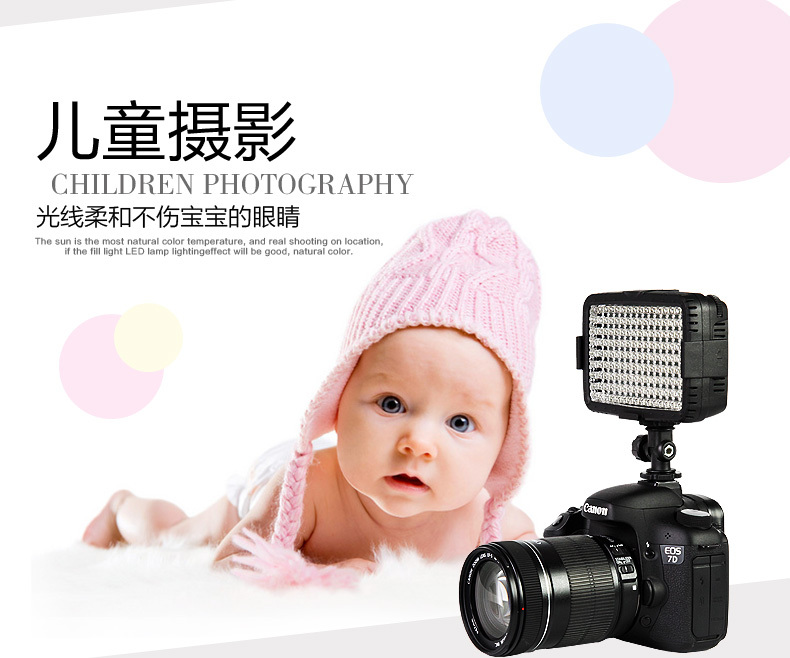 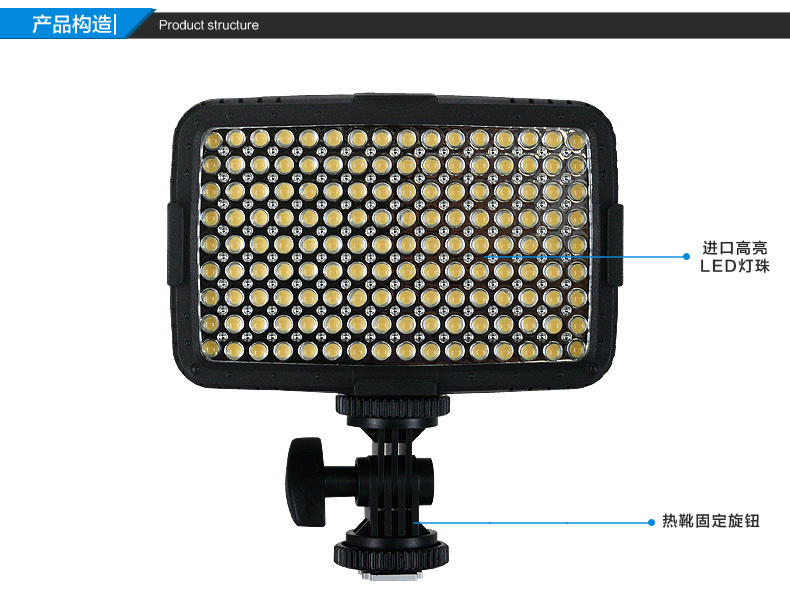 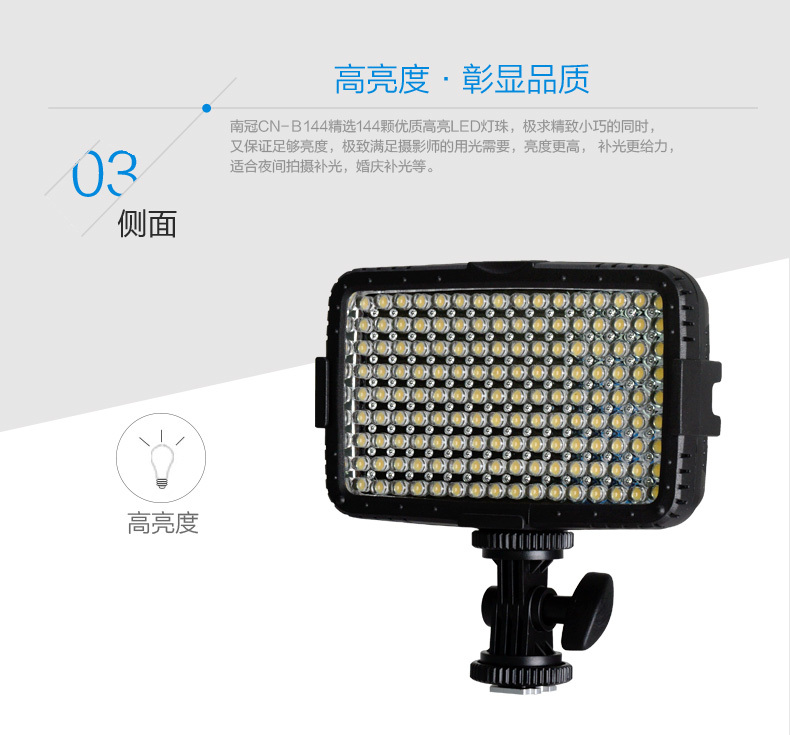 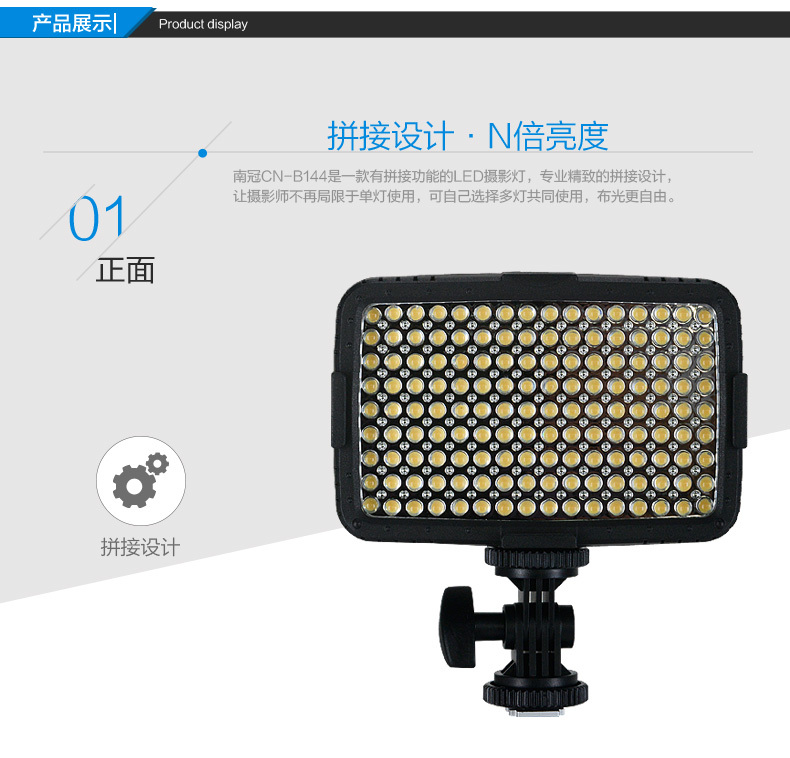 · There are 3 filters included with this item, with Spotlight effect, Diffuse effect, green minus effect, and for reducing the color temperature to 3200K. 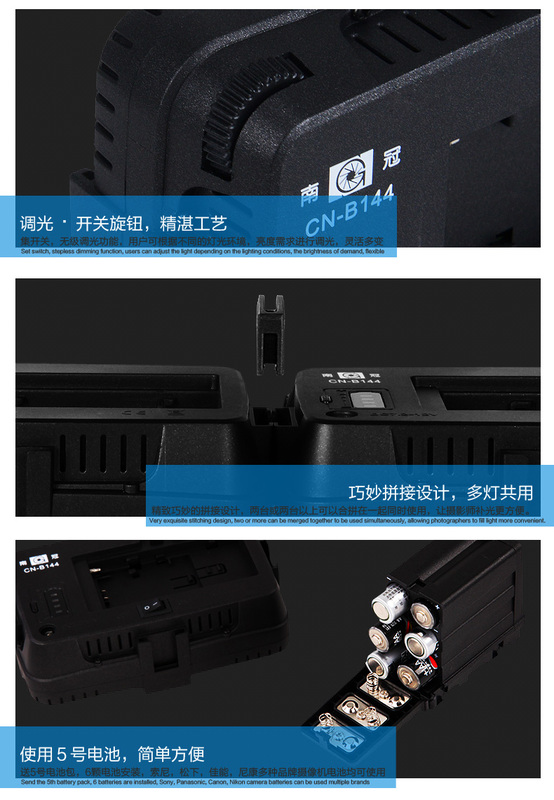 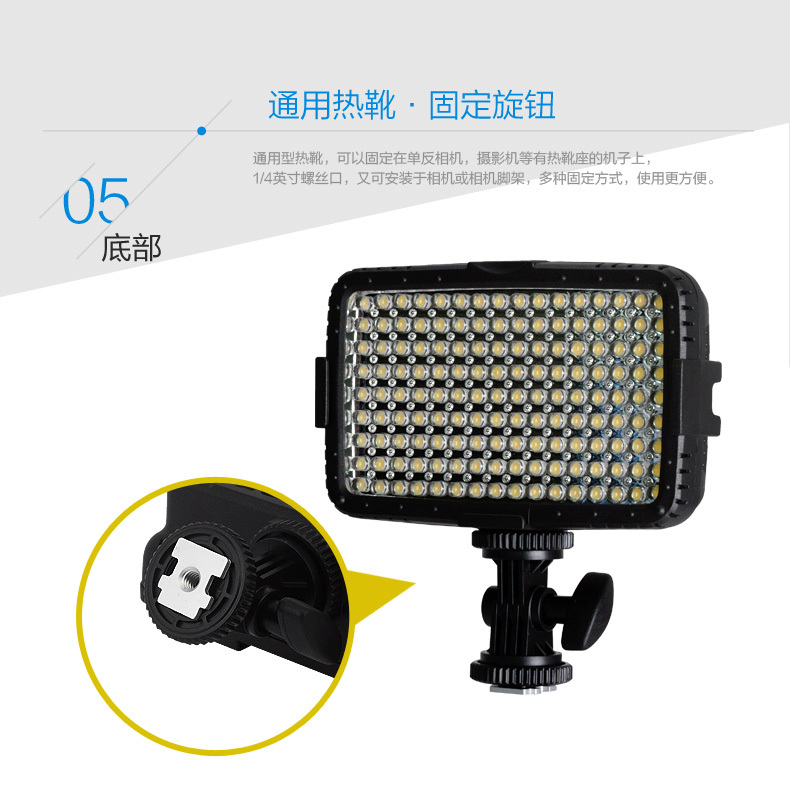 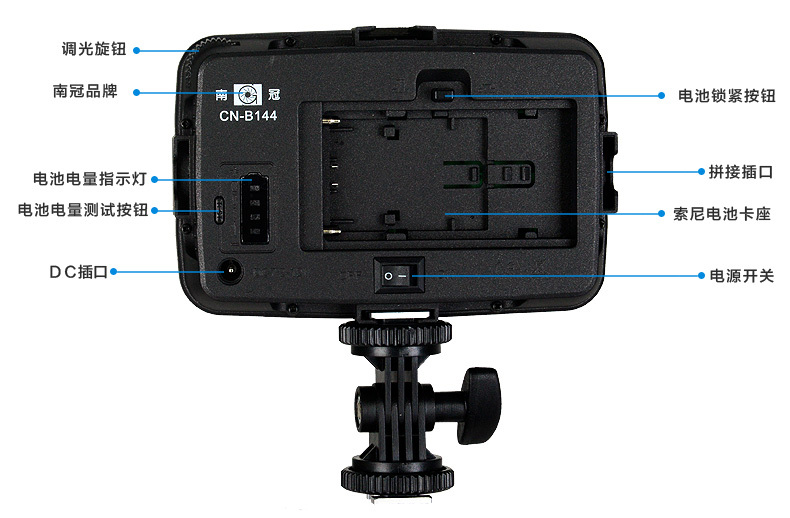 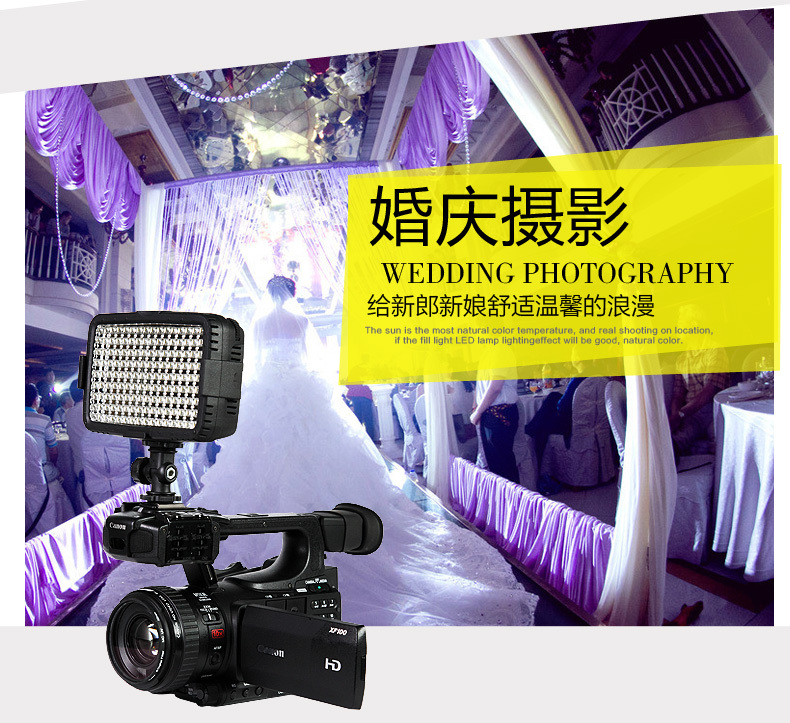 · include an easy detaching hot shoe mount, with standard 1/4\' thread hole for mounting on light stand directly.Compact design, high power, good durability, and low heat output.